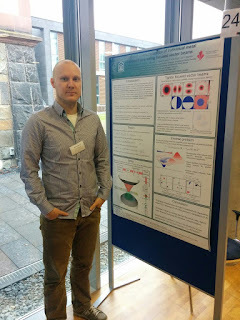 Two of our group members (including Dr. Mikko Huttunen and me) have attended the Seminar on Nanophotonics and Complex Spacial Modes of Light, hosted by Wilhelm and Else Heraues-Stiftung Foundation in Bad Honnef, Germany. "Wilhelm und Else Heraeus established their joint foundation in 1963 to promote research and training in the natural sciences, particularly physics. The Foundation encourages scientific exchange by organizing conferences and seminars, supporting talented students and contributing in various ways to improving science education in schools. The Foundation has worked closely with the German Physical Society (DPG) since the mid-1970s. The Wilhelm and Else Heraeus Foundation is highly regarded among physicists, and is considered to be Germany’s most important private donor institution in the field of physics." 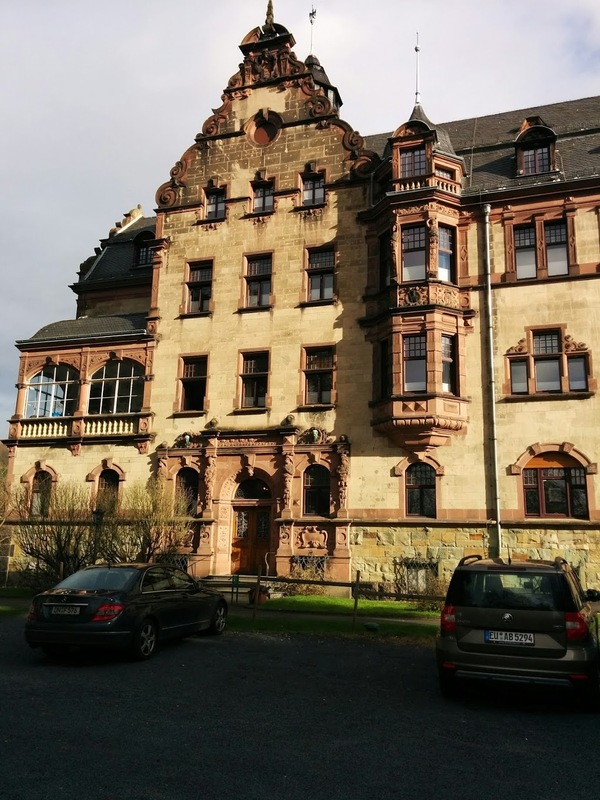 The seminar was held in the renowned Physikzentrum (Physics Centre) https://www.dpg-physik.de/dpg/pbh/index.html?lang=en, run by the German Physics Society. The centre is based in a 19th-century castle-alike house (the former home for young ladies of higher descent), situated on on the right bank of the famous Rhine River. We enjoyed the talks and the outstanding level of the presentations and invitees, the beautiful spring weather (despite the fact that is was in January), a few-hour hike to the top of the mountain. The atmosphere of the Physics Centre facilitates scientific discussions any time of the day. We had an opportunity to connect with other researchers in the field, to learn about their research and to share what is going on in our group. There were several collaborations initiated with other research group. Mikko's poster has attracted a lot of interest. 3D printers are finding applications in a variety of areas, ranging from prosthetics to building bridges. Research labs can benefit a lot from 3D printers for designing prototypes or missing components with ease and in a reasonable time frame. Optics labs in particular can benefit from 3D printers, since we require a vast majority of small components, like optics holders, adaptors and stages. Such small albeit critical components can take weeks or sometimes even months to arrive if ordered from commercial vendors, thus impeding progress of a research project. Using 3D printers one can easily make a 3D model of the missing component with required dimensions and then easily fabricate the design in-house in a matter of a few hours. Here are a few examples of 3D-printed components and devices that we have used recently in our lab. Ksenia Dolgaleva graduated with M.S. in Physics from Moscow State University, and with Ph.D. in Optics from the Institute of Optics, the University of Rochester. Ksenia has completed her postdoctoral studies at the Electrical and Computer Engineering department, the University of Toronto. She is presently an Assistant Professor at the Faculty of Engineering, the University of Ottawa.